« Mother’s Day 1949 in Austria! Today I am experimenting with some photography while being inspired by my favorite blogger! There are so many blogs that one can really get carried away, and read them several hours a day. 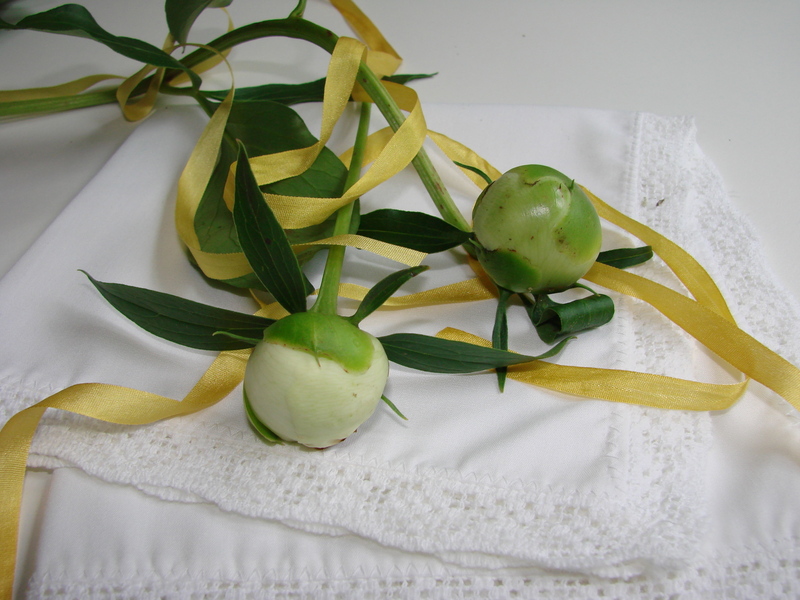 I love many of the food centered blogs, but my favorite is Lucullian Delights, http://www.luculliandelights.com, by Ilva Beretta. She combines my three passions, food, art, and photography, she has the most beautiful photographs and her writing is warm and compassionate filled with life’s little wisdoms. 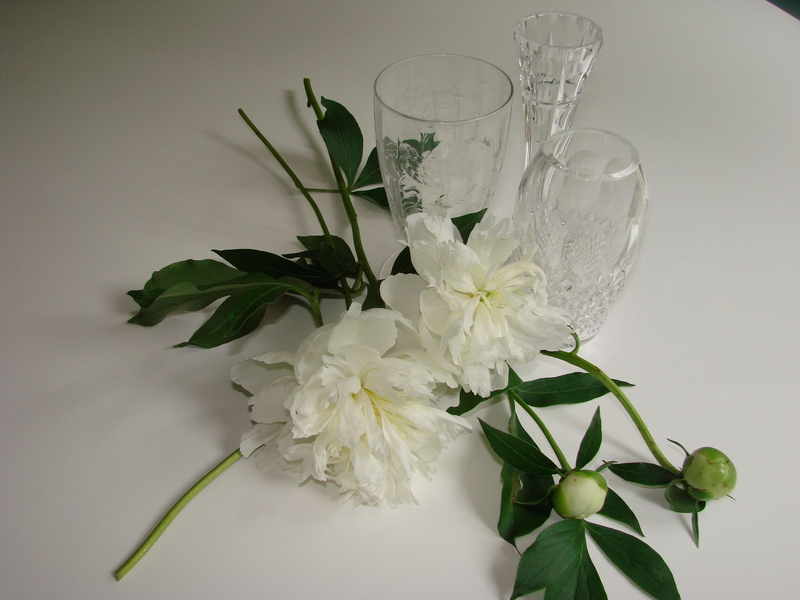 In her last few blogs she showed how she uses props to enhance her pictures. Her presentations are always artistic and poetic, with harmony in color and design. She shows her feelings in today’s meal, or part of a meal that she prepared for her family or, is just testing new recipes. Since these last four blogs were all about props that one can use to create a mood or feeling when looking at a picture, she asked for readers to contribute to her blog pictures/photographs that they created with items/props that they have either accumulated or just have gone to find things around the house. 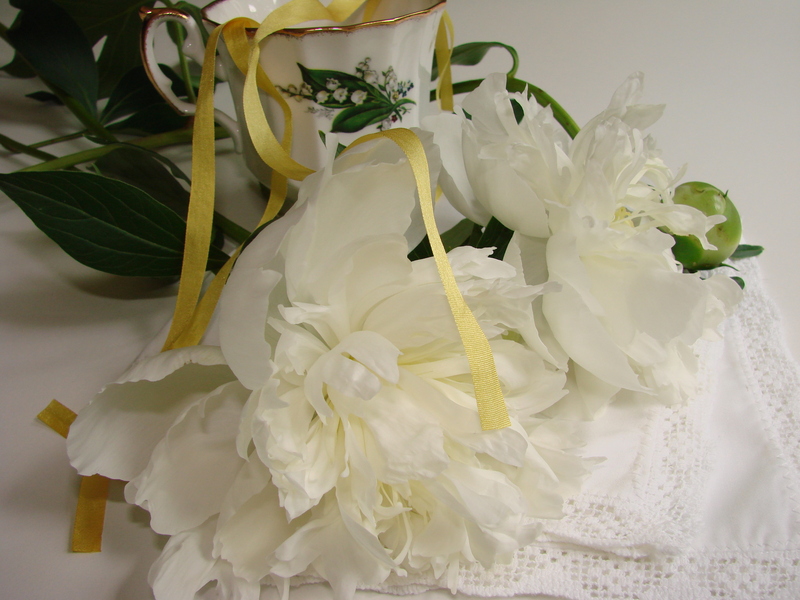 Peony on grandmother’s crochet lace napkin! Peony buds that slept through the spring! Photographs were taken by Maja, (MRS) June 1, 2010. Such lovely white in these photos, keep them coming! cooking when my husbad lets me in the kitchen! 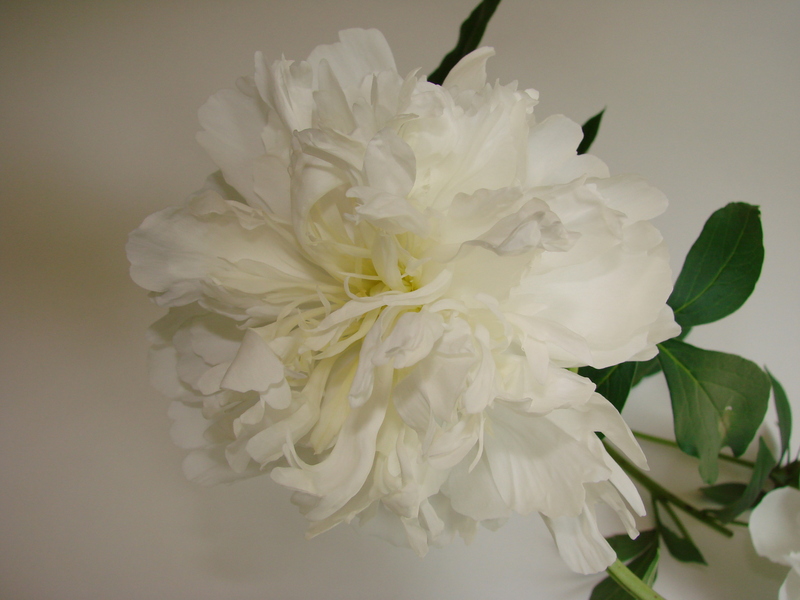 Ahhhhh… Peonies! I miss them. We had lots of them in Chicago. Those and lilacs are some of my favorite flowers and you did a great study on them Maria. Of course in Hawaii we do have lots of beautiful tropical flowers, so I am not at all complaining! You are inspiring me to use some of them for photos. Hi Devanylynne………..thank you for your nice note……I have been to Hawaii several times and could not get enough of the beautiful flowers you have there………..I think you need to photograph them and put them on your blog and Face Book……..we all will enjoy them tremendously………..